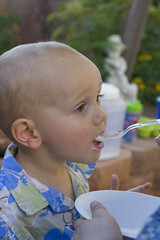 Aunt Tekla and the Ice Cream Social. Aunt Tekla flew in from Austin to spend her birthday weekend eating my cooking, drinking my booze and watching Harry Potter. We don’t get to see Tekla very often, so when we do, we make a big deal out of it. 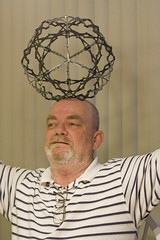 Grandpa was so excited he started balancing things on his head. 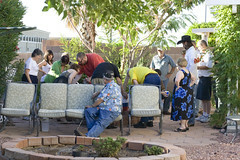 It was also the weekend for our annual Ice Cream Social. 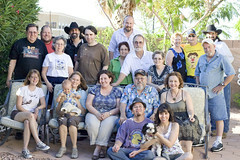 What started as a backyard summer get together between two families has grown. As the kids got older and got families of their own the gathering has gone from a few to many. We’ve been doing it for at least 15 years. 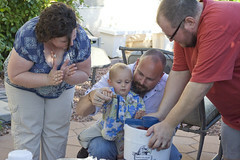 We make hand crank ice cream from Big Tony’s secret recipe. The rule is, if you want ice cream, you have to take a turn at cranking. When you’re not cranking though, it’s okay to just hang out. Once it’s all cranked out, the ice cream is worth all the sweat and effort. 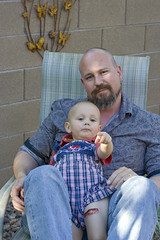 Easter has come and gone, and with it the unusually pleasant weather we got this year. 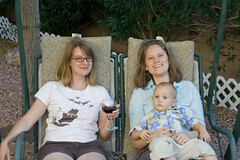 We spent a lot of time sitting outside in our backyard, and just enjoying how little the desert sun was trying to kill us. 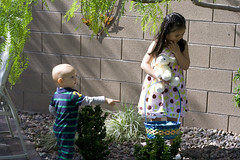 We even had an Easter egg hunt for Logan and his cousin Samantha. 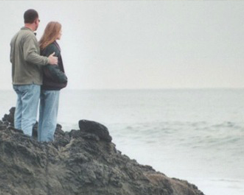 Now it is summer and hot, and time to reflect on when it was not. 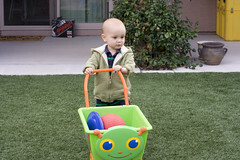 When not hunting for eggs, Logan seems to really enjoy pushing things around the yard. We bought him a little cart so he’d have something to play with, to stack things in, and to push around. 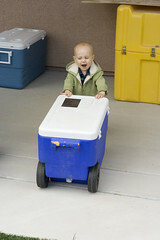 For whatever reason though, he seems to get the most fun from pushing around the coolers. He likes it so much he cackles to himself while going about whatever task he believes he’s accomplishing. 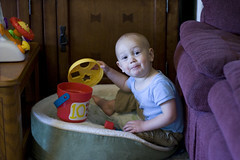 He’s also taken to playing in the pet’s beds. I’m not sure what that’s about. Maybe it’s just because it’s soft and his size. Other normal tasks that Logan gets significant pleasure from; washing his hands, putting garbage in the garbage can, putting shoes away. The boy loves shoes. Taking them off, putting them on, arranging them on the rack. 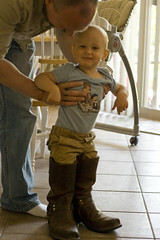 Recently he demanded to try on my boots. He wasn’t quite tall enough for it.